PTSA sponsors several school events throughout the year. Your donations help to maintain these programs and are greatly appreciated. Thanks for your support! 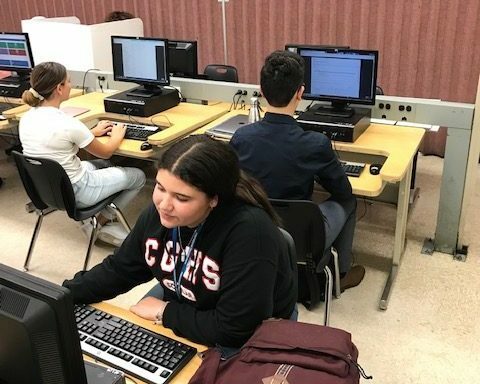 Students in Mr. Robert Reiserts Accounting class using the Aplia Accounting program that the PTSA through a $500 grant helped purchase for the Coral Gables Senior High 2018-2019 school year.